Photo © Glacier Park Inc.
Rest, relax, and plan your next hiking excursion into arresting alpine landscapes from Many Glacier Hotel, Glacier National Park’s largest lodge, located at the base of Mt. Grinnell on Swiftcurrent Lake. Reservations: 855-733-4522. 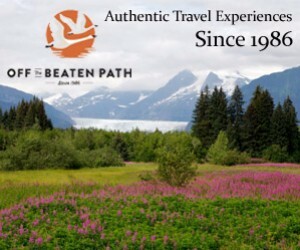 Stay at Many Glacier hotel as part of our "Crown of the Continent", 6-day, 5-night package. Small group vacation specialists. Pre-planned or custom created itineraries. The Bayshore Inn Resort & Spa provides everything you need for the perfect mountain getaway. 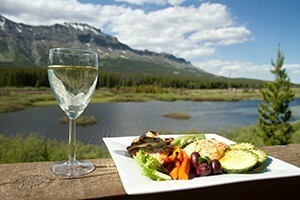 On-site spa, newly renovated rooms, and located on the shores of Waterton Lake. 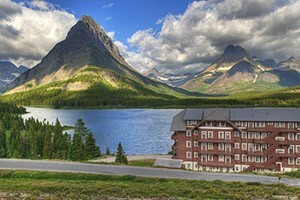 Many Glacier Hotel is open from early June through mid September. Located in the northeastern corner of the park, on the shores of Swiftcurrent Lake. Nearby park activities include boat cruises, bus tours, hiking, wildlife viewing, ranger-led activities, and more. This Swiss-chalet style Many Glacier lodge was opened on Independence Day, 1915. Built by the Great Northern Railway, the 5-story hotel has an old-world feel, listed as a Natural Historic Landmark with 214 guest rooms, gift shop, restaurants, lobby with an impressive fireplace, and a veranda overlooking Swiftcurrent Lake and the ever-impressive Mt. Gould and Mt. Grinell looming in the background. 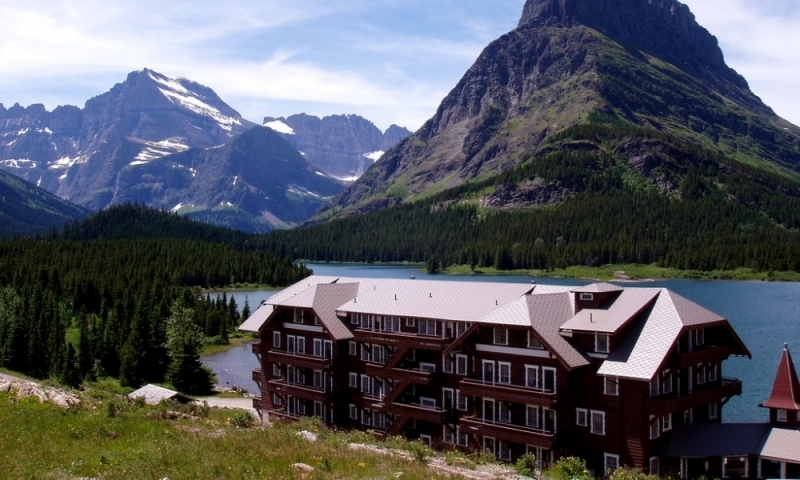 Located in the park's northeastern corner, Many Glacier Hotel sits among Montana’s most sensational scenery. From Babb, MT travel 12 miles west to Swiftcurrent Lake. Trailhead: Just down the road from the hotel. Boat Cruise: Hop aboard Chief Two Guns and enjoy a guided tour of Swiftcurrent Lake. For further water travels, explore Lake Josephine from a seat on Morning Eagle, featuring views of The Salamander. 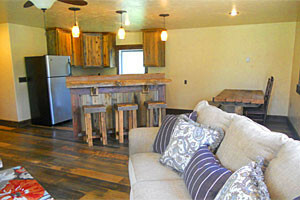 Details/Services: Rooms range from value to suites, including balcony options overlooking Swiftcurrent Lake.